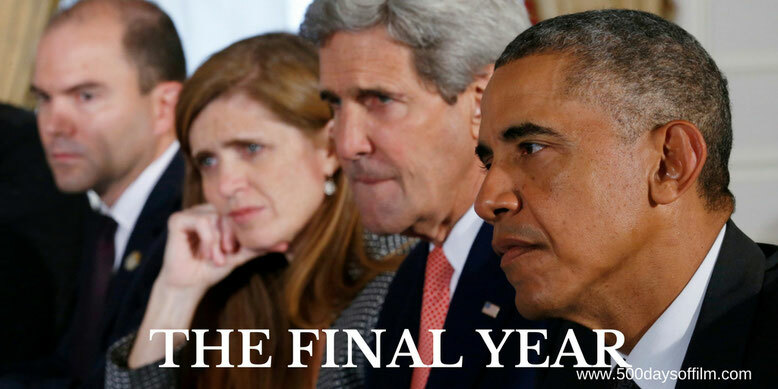 The Final Year explores the inner workings of the Obama administration as they prepare to establish a legacy when leaving power after eight years. The film focuses on Obama's foreign policy team: Secretary of State John Kerry, UN Ambassador Samantha Power, Deputy National Security Adviser and presidential confidant Ben Rhodes, as well as National Security Adviser Susan Rice and President Obama himself. Over the course of 2016, they travel the world attempting to solidify and "lock-in" policies that they believe will define their legacy as they prepare to hand over to a new administration. Greg Barker’s documentary, The Final Year, is a fascinating look behind the scenes of a governmental department desperate to leave a lasting, positive legacy. As the months tick down towards the end of their time in office, so the desire to finish what they have started grows stronger. It is exhausting to watch as John Kerry and Samantha Power travel the globe negotiating deals, promoting diplomacy and raising awareness of disturbing world issues. You feel the toll this role has taken (personally as well as professionally) as their final year draws to a close. The light at the end of this, often dark and deeply upsetting, tunnel is the chance that, when they hand over to a new administration, they will have made a real difference in the world. A difference that can (under, they presume, the presidency of Hillary Clinton) be built on in the future. Barker continues: “They believed they could redefine American foreign policy, promote diplomacy over large-scale military action, and alter how we as a nation think about questions of war and peace. One of the draws of The Final Year is the chance to see President Obama at work behind the scenes. Barker's film features a few such glimpses. 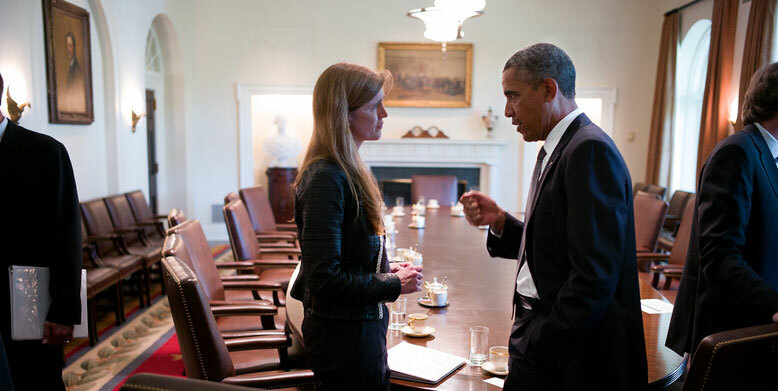 However, the vast majority of the documentary focuses on Samantha Power, John Kerry and Ben Rhodes. While the documentary is largely in favour of their efforts, it does include some of the more dissenting voices. Nonetheless, it is hard to criticize people who seem to have the very best of intentions. Power is particularly fascinating. She is a formidable diplomat - willing and able to take on her counterparts. Meanwhile, out in the field, she is sensitive and caring - a mother devastated by the stories of those caught up in the world’s atrocities. Her first hand experience makes it even more interesting to see how her view of the world differs from that of Obama. She certainly finds it hard to be as optimistic about the future of the human race. As The Final Year reaches its final act, a sense of impending doom descends. Unlike Power, Rhodes and Kerry, we know how this story ends. The devastation that hits the team after Donald Trump is elected President is palpable - reducing the usually confident and eloquent Rhodes to shell-shocked silence. This may be the end of an era - but the team's work is far from over. Filming began in late 2015 and wrapped at 3am on the morning of January 20th, hours before Trump's inauguration. Greg Barker and his documentary team filmed extensively throughout the year at the White House and State Department in Washington DC, the United Nations in New York City, and in 21 countries, following US officials on their international travel. Have you seen The Final Year?